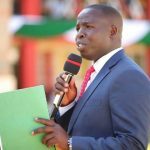 The County Government of Nandi is set to put up a modern market at Baraton Market grounds after a successful Public Participation with residents was done. 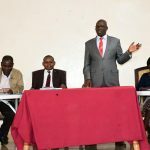 During the meeting held on 31st August at the market grounds led by Chief Officer Industrialization and Enterprise Development Mr. Wilson Lelei, area MCA Hon Richard Kirwa, officers from the Department of Trade, Investment and Industrialization, opinion and religious leaders and residents, members of the public unanimously endorsed the proposal to establish modern market stalls in the area. Speaking during the event, Mr. Lelei said that Public Participation is an important component of leadership since it is through it that priority projects which are beneficial to the people are identified. He thanked the residents for turning up in large numbers and applauded them for agreeing in unison to embrace developments that was coming their way. Hon Richard Kirwa during the public participation. Hon Kirwa on his side said that the voice of his people will be reflected in this particular project. 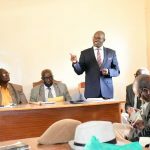 He requested the department of Trade in conjunction with that of lands to look into the physical planning map before issuing commencement letter to the contractor. Once established the market will provide an avenue majorly for women and youth to actively involve themselves in meaningful and profitable business ventures and increase revenue for our county.